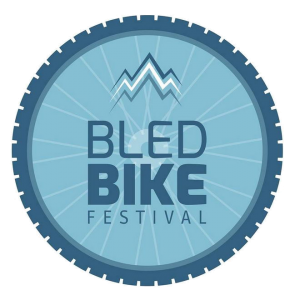 The main event of Bled Bike Festival is Mountain Biking Marathon on the three major alpine plateaus: Pokljuka, Mežakla and Jelovica. Contestants will bike by the beautiful Bled Lake, race between glacial valleys, through the intact forests and high plateaus with outstanding views on Julian Alps and the Karawanks mountain ranges. Bled Bike Festival Event event venue is the start and finish line of the Marathon. The contestants will have two courses to choose from: longer, 104,4-kilometre Bled Bike Epic and shorter, 63,2-kilometre long Bled Bike Marathon. Each contestant will have to overcome 3,147 meters of height difference on Epic route and 1,885 on Marathon route. Both courses mainly run on gravel and forest paths with some single trails on the way. Epic course has in total 8 kilometres of asphalt road, Marathon course has in total 6 kilometres of asphalt road. The both Mountain Biking Marathon courses are considered to be technically challenging. The longer Epic course is designed for well prepared mountain biking enthusiasts who seek for longer, endurance rides. Shorter Marathon course is more suitable for wider spectre of mountain bikers with basic knowledge of mountain biking techniques. You will bike by the beautiful Bled Lake, race between glacial valleys, through the intact forests and high plateaus.